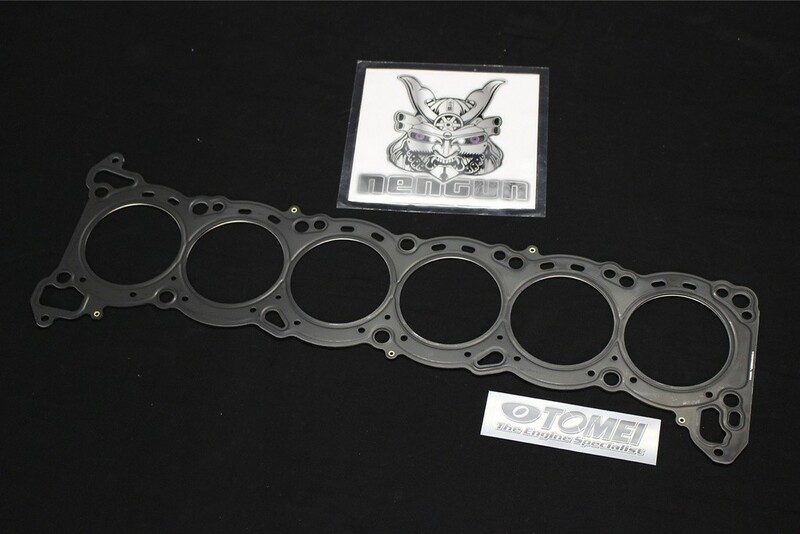 Tomei RB25DET Super Grommet head gaskets are designed for higher performance and resistance to twisting and bending whilst increasing rigidity. 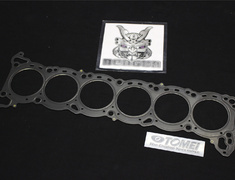 Tomei selected stainless for the material of the gasket, which it is possible to cool down the cylinder effectively by transferring heat to the cylinder head equally with the high thermal conductivity of stainless. And since it does not become high temperature locally, cylinder head will hardly blow. 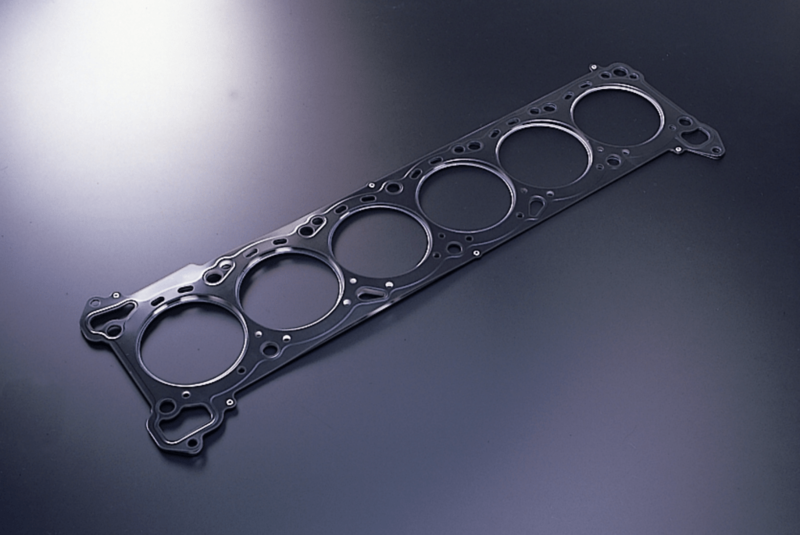 Since intensity of stainless steel is high, it can make the joint rigidity of the cylinder head and the engine block high and prevents blown head. If combination of a head and a block is firm, twist and bent of the whole engine can be reduced while rigidity is increased, and the durability of power transmission will be improved.